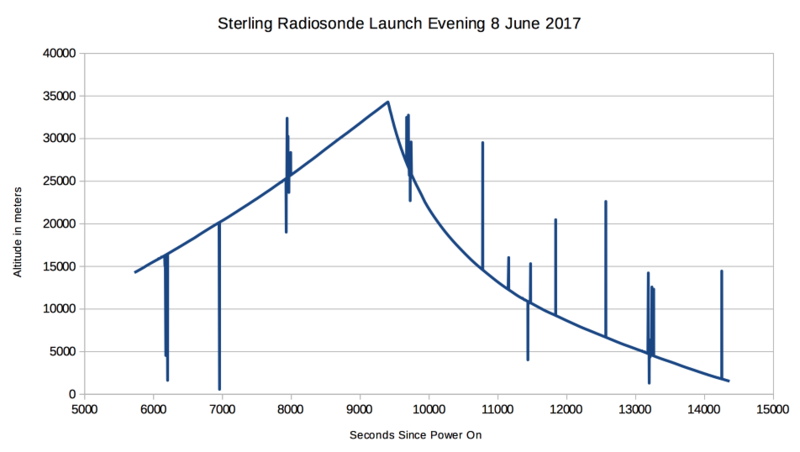 Sterling recently changed from the Mark IIa radiosonde on 1680 MHz to the LMS-6 on 401.0 MHz. Received with just a discone antenna and a pre-amp. I may have tuned in a bit late, although back when they used 1680 MHz I also used to first pick up the signal around I-70. It's so much easier to pick up these radiosondes on the 403 MHz band vs the L band. 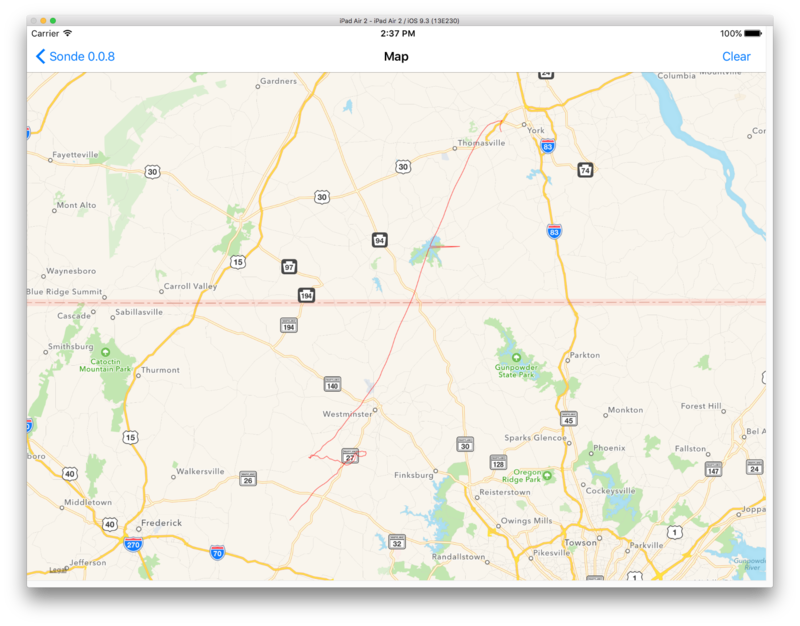 Next step is to figure out who is launching the other radiosonde I hear on 402.3 MHz. It's not an LMS-6. Decoded using a quick and dirty modification to my decoding app for the Mark IIa radiosondes. It seems to [mostly] work. Of course now there are no more predicted passes up this way for at least the next week. The balloon did some interesting loops south of Westminster, then went on to York. You can see a glitch in the position up in PA. Does someone go out and get these things or do they care about recovery at all? They do not actively search for them, but many get returned by people that find them. There's a note on the package asking people to mail them back, so they can be re-used. Lol if I find one ima tape it to my car and drive it around!